The effects of a traumatic event like Friday's fatal bus crash can take time to sink in, says Ottawa's chief medical officer of health — but there are resources for people struggling to cope. The effects of a traumatic event like Friday's fatal bus crash can take time to sink in, says Ottawa's chief medical officer of health — and there are resources for people struggling to cope. 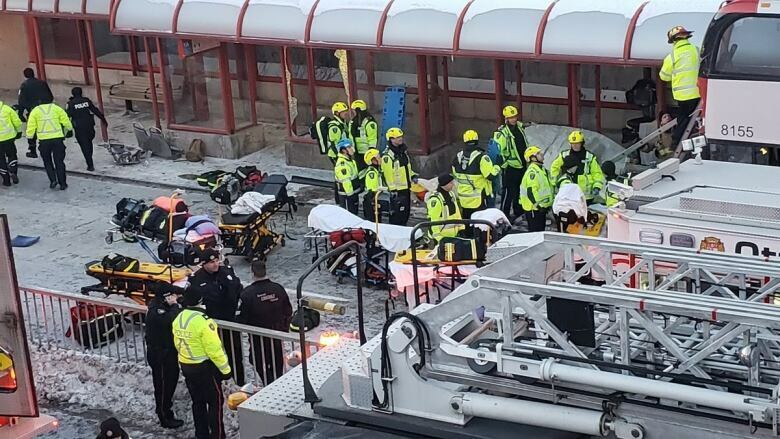 Three people died and 23 were injured when a double-decker bus crashed into a bus shelter at Westboro station at the start of rush hour on Friday. "An event like this can affect our whole community, certainly people who ride the bus, people who can imagine that was them," said Dr. Vera Etches. Feelings of fear and anxiety are perfectly normal, Etches said, even for people who weren't on the bus that day. There are certain signs to watch out for, Etches said: having problems caring for one's self, not going to work, or not keeping up with normal social activities. If sadness lingers for more than two weeks, it can be an indication more support is needed. Etches also said it's important people go about their normal routine, while being aware the trauma from a crash like Friday's may not set in right away. "Over time, it can happen that people think they're fine. And then they actually have more difficulty over many months to come," she said. Victims and witnesses are currently being assisted by the Ottawa Police Service's victim crisis unit. Others can contact the Distress Centre for Ottawa and Region or go to the Ottawa Public Health (OPH) website for more resources. The health unit is also working with OC Transpo to let riders know where they find help, and public health workers will be at Westboro station during Monday morning rush hour. Etches said the public nature of the bus crash can add to the difficulty coping. "If you have an individual car crash, that's more of a private affair," Etches said. "This is very public, and so just looking at the images, dwelling on the stories can cause people to relive trauma and potentially contribute to more problems." 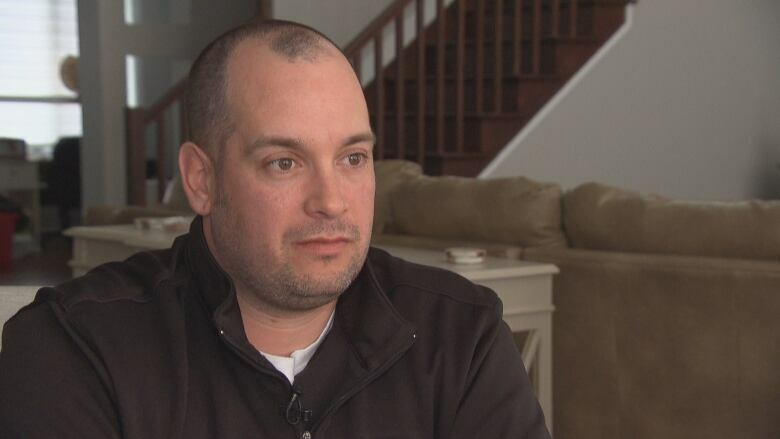 For Chad Mariage, Friday's crash brought back painful memories. Mariage survived a 2013 crash between a double-decker OC Transpo bus and a Via Rail train that killed six people, walking away with just whiplash. "You always think it [won't] happen to you until it does," he said. "And [then] it's really unbelievable." Mariage said talking about the 2013 collision helped and he's now urging anyone affected by Friday's crash to use whatever resources are available. "I would highly recommend that they kind of do the same," he said. "[To] talk about it is key, not to keep all that stuff bottled in. Because I think that kind of exacerbates the problem." Mariage said people should feel "no shame" in talking about their emotions. "We've seen some people that were affected in 2013 who — three, four years down the road — were still feeling the effects." Feelings of sadness lasting weeks or months. Not taking care of oneself. The Distress Centre for Ottawa and Region at 613-238-3311. Any employee assistance program offered through work.